Hello I’m Emma from mmmEnglish! So tell me, do you know how to pronounce these words? Really? How do you know? These words are nouns but they’re also verbs. And they’re pronounced differently depending on the type of word that they are. So right now it’s impossible to know how to pronounce these words correctly. 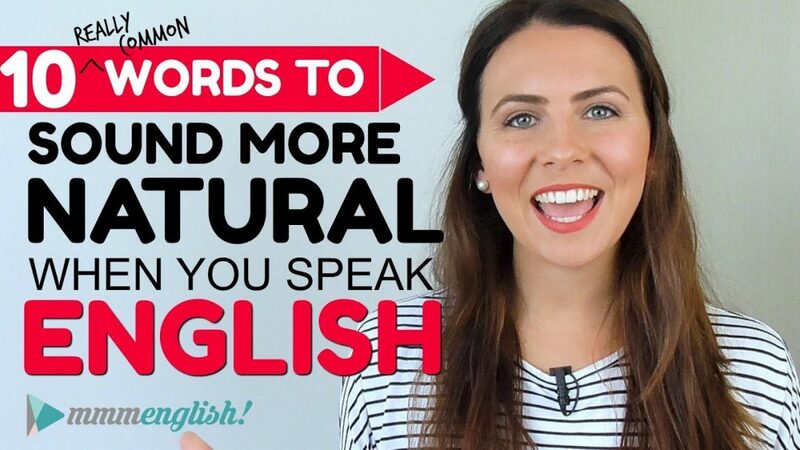 The great news is that there are some simple rules that will help you to pronounce these words correctly when you do use them. Yeah. Simple English rules! Yes! And I’ll go over them with lots of examples during this lesson today. But first, let me explain why word stress But first, let me explain why word stress English is a stressed language. Words are stressed when spoken because they’re important. So when we speak, we speak those words more clearly. They’re the important words, they must be heard for the sentence to be understood. But if the word has more than one syllable, there will be one syllable that is pronounced more clearly than the others – at least one. Syllables are stressed differently and it’s actually a really important part of speech so it’s something you need to know. Not only does word stress give English its rhythm, but it also helps native speakers to identify words. If you use the wrong word stress in English, you could be pronouncing a completely different word than the one you mean to. And that can be pretty confusing for someone listening to you. And when you’re listening to a native English speaker, recognising what words are stressed will help you to understand the meaning more easily too. So if you’ve been telling yourself that word stress doesn’t matter, think again. 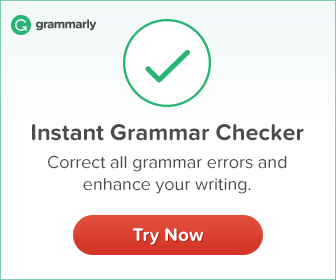 As I said, there are some simple rules that I’ll teach you in this lesson today to help you to correctly and confidently stress words in English. So let’s get our words back on screen. So you’ll notice that all of these words have two syllables. Now as a general rule most two-syllable English nouns are stressed on the first syllable. It’s a general rule but it’s true most of the time. By the way, that’s also true for adjectives, most two-syllable adjectives are stressed on the first syllable too. And most two-syllable verbs are stressed on the second syllable. There are exceptions but this is true most of the time and that my friends, is a really useful pronunciation tip. Let’s look a little more closely at the first word. As a noun, the stress is on the first syllable. As a verb, the stress is on the second syllable. So listen. Can you hear the difference there? Say it with me. See if you can pronounce the difference. Now specifically, word stress affects the vowels in English. It’s the vowel sounds that are different when you are stressing and unstressing syllables. Stress syllables have a stronger vowel sound while unstressed syllables reduce down. And you’ll notice this through all of the examples that I teach in this lesson. 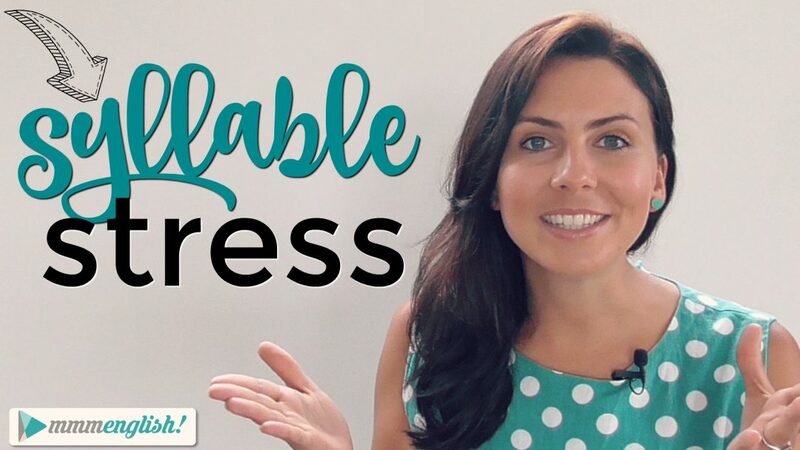 So while you master the pronunciation of stressed syllables today, you’ll also practise vowel reductions for all the unstressed syllables too. As the value of the stock decreased, we noticed a decrease in revenue. The same stress pattern is used for ‘increase’ as well. One really great way to practise the correct pronunciation of English words is by listening to audiobooks while you’re reading the actual physical book. You’ll learn lots of new words in context and hear the correct pronunciation too. 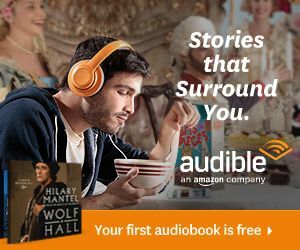 You’ve heard me talk about Audible before because I love listening to books. I can do it anywhere, while I’m running, while I’m driving, I’m on the train. Or I’m doing really mundane tasks like grocery shopping. And listening to your favourite English books is such a great way to improve your listening and your speaking skills. So sign up to Audible using the link in the description below and you’ll get your first audiobook absolutely free! I’ve recommended a few books in the description as well so make sure you check them out and let me know what you think. The vowel sound is strong in the stressed syllable, remember? And then the vowel sound in the unstressed syllable reduces. We forgot to bring her birthday present! We will present the findings to the professor tomorrow. There was a strange glowing object above the stage. If you object to our decisions, you need to suggest alternatives. Our football players are all rejects from other teams. My boss will probably reject our suggestion to have our monthly meeting at the pub. Probably, but it’s worth the shot. They signed the contract yesterday. The villages may contract the virus by drinking water from the river. Do you have any idea what’s causing the conflict? The neighbour’s story conflicts with the story that Paul gave us. There’s lots of fresh produce available at the market. Can you produce any evidence that proves you’re innocent? Now some native English speakers pronounce the stressed vowel there slightly differently but it’s always stressed. Do you know if they’ve received government funding for that project? During the celebrations, the community projected historical photos on the church building. Do you keep a record of the number of tourists that visit this place each year? You need to visit the police station so that they can record your details. Peter runs a business that collects refuse from local cafes and businesses. ‘Refuse’ is a more formal way of saying rubbish or garbage. The protesters are refusing to exit the building. Okay we’ve been through plenty of examples here but there are many more examples of these types of words where the noun and the verb are spelled exactly the same but pronounced differently. Can you think of any others? If you can think of any others, then please add them into the comments under this video. Try to write a sentence with these words. If you do that and everyone else does that, we’ll end up with hundreds of sentences to practise with together. So write your sentence and then practise saying it out loud. You have to practise out loud because stress is only important in spoken English. I hope you enjoyed the lesson. If you did, make sure you tell me, give it a like and subscribe to my channel. Come and join me and my mmmEnglish learners. We practise here together every week. 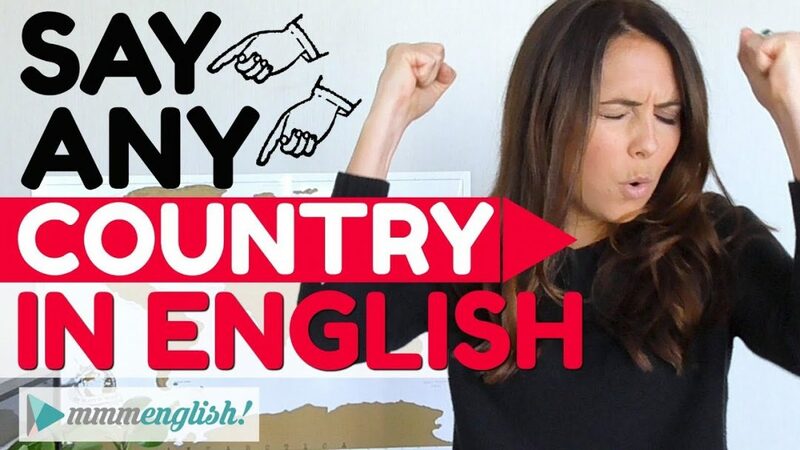 Keep practising your spoken English in either of these two videos here and I’ll see you in the next lesson! Another word can be water. I m really appreciate Yr immediate reply, wonderful explanation n more useful examples of the verb n noun sentences. Hi Emma: I thoroughly enjoyed your new lessons. I have learnt a lot from you. I have spoken English as a second language for years and I had never noticed this before this extremely useful lesson. Maybe I pronounced verbs and names correctly however I could not bet. This is really a training point. Thank you Emma! Thank you for your email. Let me try for practice with you at one day. Really I am not well English Language skill. I will be trying to improve English Language skill one day.Thanks. You are an amazing tutor.It’s fun to learn English this way. Thank you. Its really helpful tips, and I really enjoyed the lesson so far. I am very much grateful to u madam Ema.. Stress and intonation is my main problem, as my focus goes to ‘stress and unstress’. However, your kind enough to share so important notes and tips to drive us to Native speaking environment. I find your lessons really pleasant and your tips very helpful.